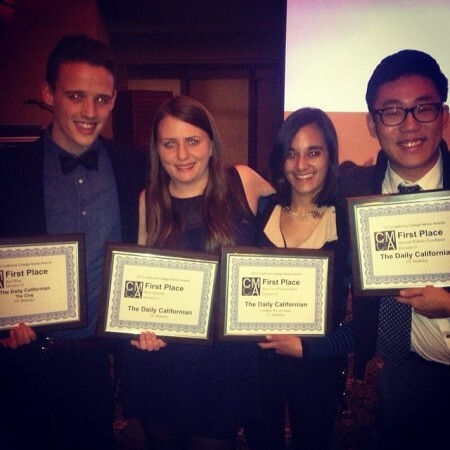 The Daily Californian was honored Saturday with 21 awards for its work in 2014 by the California College Media Association, including 11 first place awards. The Daily Cal placed first in all three news content categories, including winning best breaking news, best non-breaking news and best feature story. Here at The Daily Californian, we’re constantly seeking new ways to better serve our readers. On Tuesday, we launched a new redesign of our homepage, tailored to present more content above the fold and allow for more customization in the way we feature articles.